Stratford NRC.85+™ is rated 5.0 out of 5 by 1. This product will ship in 4 weeks. The Stratford NRC.85+™ Acoustical Ceiling Tile System is the envy of other specialty acoustic ceilings, and we're not just making noise. An amazing NRC value of 85% coupled with Ceilume's good looks means that no other acoustical ceiling panels come close to the price, performance, value, and esthetic combination that NRC.85+™ delivers. An NRC of 85% means that 85% of the sound that hits the ceiling is absorbed and will not bounce back. Interior spaces like home theaters, restaurants, and even medical/therapeutic offices (where privacy is important) would benefit greatly from a high NRC. You can hear the quiet already! At $6.95 per square foot (delivered! ), no other sound-dampening system with comparable performance and appearance is even within earshot of NRC.85+™. Better yet, the price of NRC.85+™ goes down as order volume goes up. 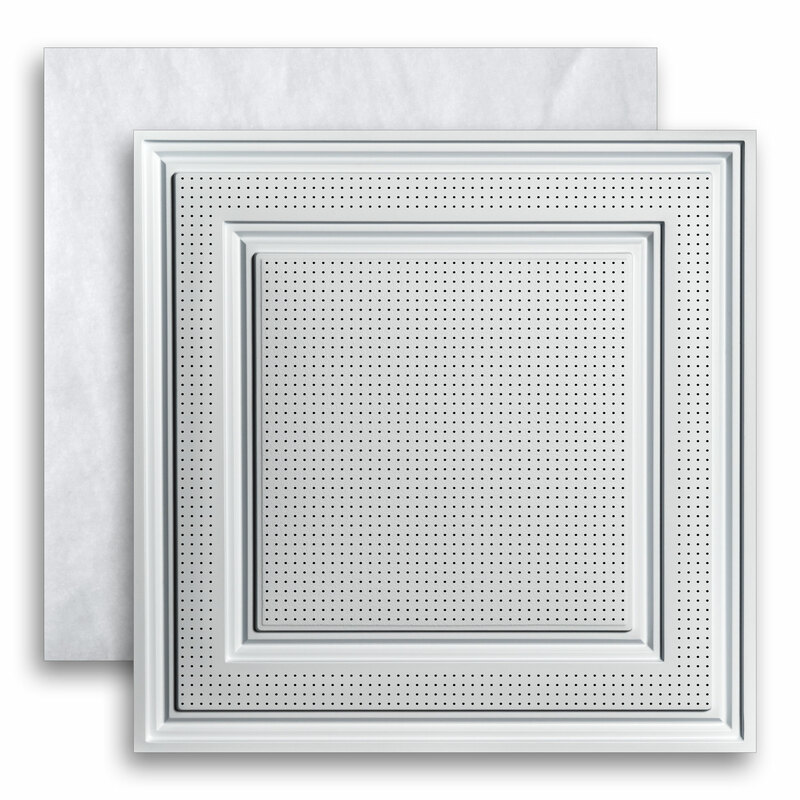 Shipped as a set - perforated tiles in one box (beauty) and sound absorbing insulation in the other (the beast) - the Stratford NRC.85+™ 24" x 24" acoustical ceiling tile system is perfect for 1" standard T-bar grid systems and will not stain, absorb moisture, harbor mold or mildew, or create dust. Because it's two separate components (rather than a composite of dissimilar materials that are glued together) each piece can be removed separately, cleaned separately, and even recycled separately. No other acoustical ceiling system gives you that flexibility. Lightweight, flexible, simple to install, easy to trim with household scissors (or aviation snips), and Class A fire rated, the Stratford NRC.85+™ Acoustical Ceiling Panel System gives you one more benefit that won't just save your ears, it will save on your utility bills. By adding an R-Value of 6 to your drop ceiling, NRC.85+™ will make your space warmer in the winter, cooler in the summer, and quieter all year long. How is PVC perforated? Won't perforated PVC sag when installed? 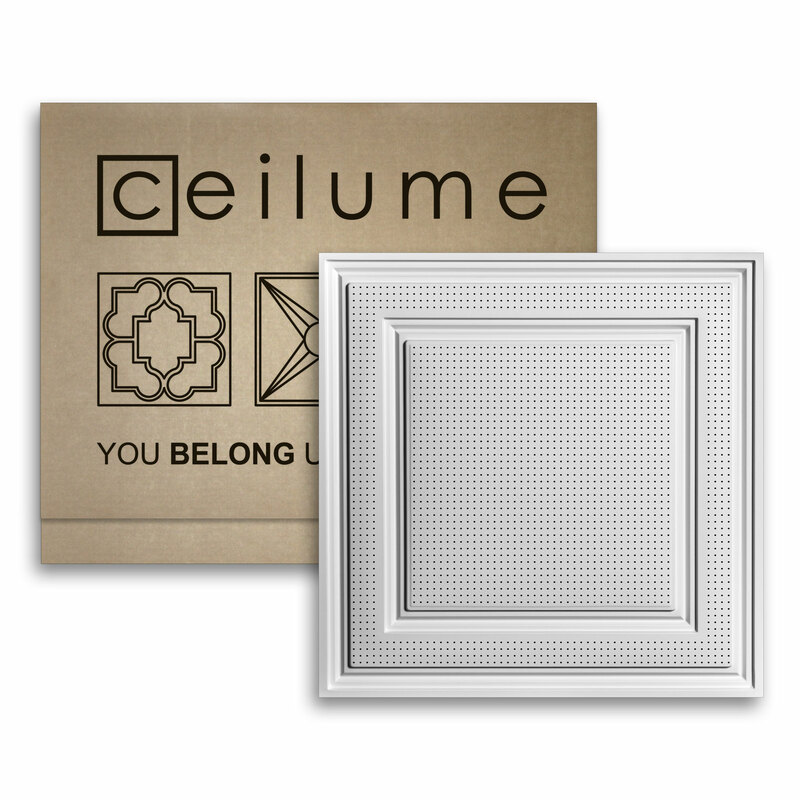 All Ceilume tiles are made from a rigid pvc using a Thermoforming process that combines heat and vacuum. As you can imagine, poking thousands of holes in a material would make it difficult to create a vacuum seal! We form the tiles first and then create the holes. 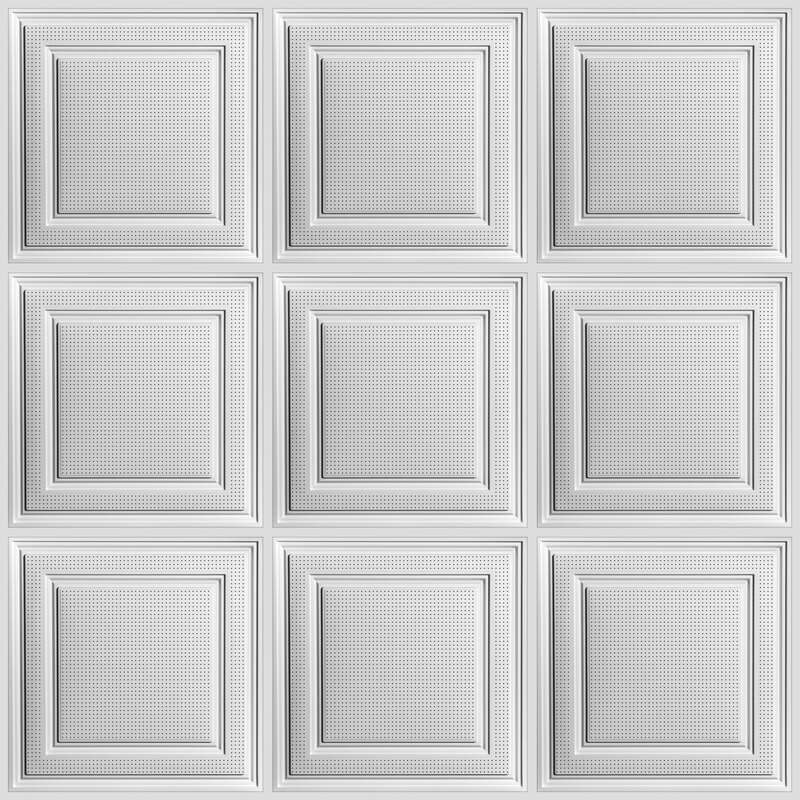 The ceiling tiles get their rigidity from their geometric pattern. That rigidity remains, even when the tile is perforated. 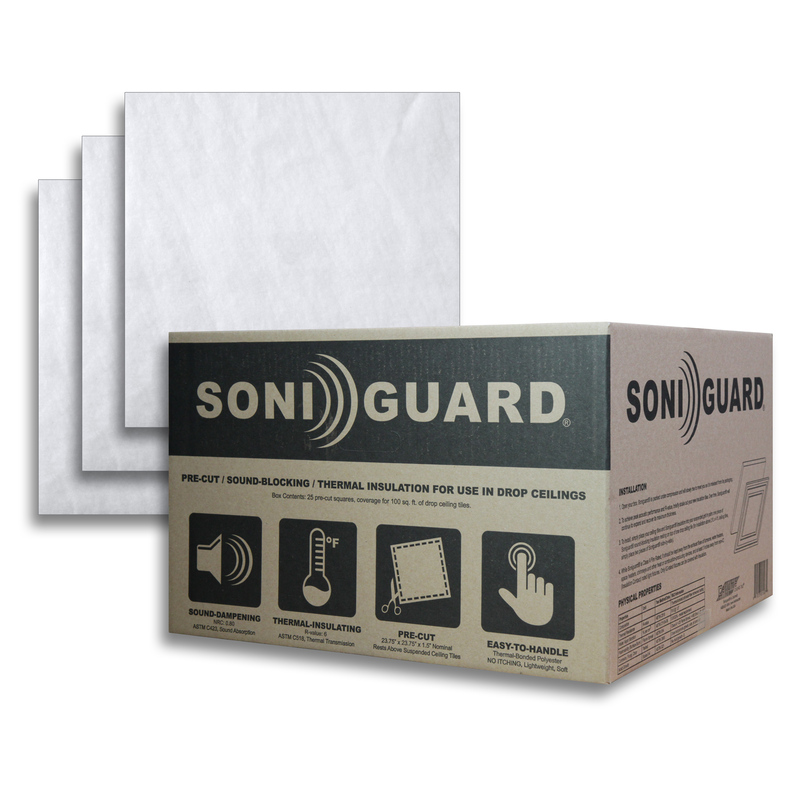 Does this product come with SoniGuard? Rated 5 out of 5 by Daniel Brinkman from I enjoyed working with the tile I installed. It went in very fast and easy. I also liked how clean it was. My previous ceiling tile experiences have been very messy, I usually get crud in my eyes as well. I will definitely consider Ceilume in the future, before the competition.